For many of us who like to drink, hangovers are just a part of life. But do they have to be? While the hangover is still not fully understood, medical science has made big strides in recent years and uncovered some of the key causes behind this painful side effect of a big night out. It’s is a serious diarrhetic. Alcohol will make you urinate all the water out of your body causing dehydration. Tell-tale symptoms include excessive thirst, lightheadedness and dizziness. It prompts an inflammatory response from the immune system. Alcohol is toxic and drinking it causes inflammation which usually manifests as physical symptoms like decreased appetite, inability to concentrate, memory problems and anxiety. It causes blood glucose levels to fall. Once your blood glucose level dips too low, you may experience mood swings, fatigue, and shakiness. It ruins your sleep. Many people will find themselves getting drowsy after a few drinks, but when you finally do crash, the quality of your sleep is poor and you don’t get as much deep REM sleep as you need. This can leave you feeling groggy. It irritates the lining of the stomach. Alcohol has been proven to increase production of gastric acid which can damage your stomach lining. This leads to stomach pain, nausea, and vomiting. It turns in acetaldehyde. Acetaldehyde is a byproduct of alcohol metabolism that is more toxic than alcohol itself. It is created when alcohol in the liver is broken down by an enzyme called alcohol dehydrogenase and a substance called glutathione. This process works well if only a few drinks are consumed, but unfortunately the liver’s stores of glutathione run out when you drink a lot, and this causes acetaldehyde to build up in the body. Most “hangover cures” come in capsule form, but what about those of us that don’t like taking pills or just prefer liquids instead? Below I’ve compiled the top 5 best things you can drink when you have a hangover, alongside my top 5 favorite favorite hangover drink products. This one should seem like a no brainer but it is one of the best (and most cost effective) ways to recover after you wake up with a pounding headache. Alcohol is a diuretic, which is why you have to go to the bathroom every 2 seconds when you’re drinking. When your body is out of excess water, it will start drawing water from your muscles, organs, and your brain—leading to a brutal headache. Leave a bottle of water next to your bed before you go out and you’ll thank yourself in the morning. 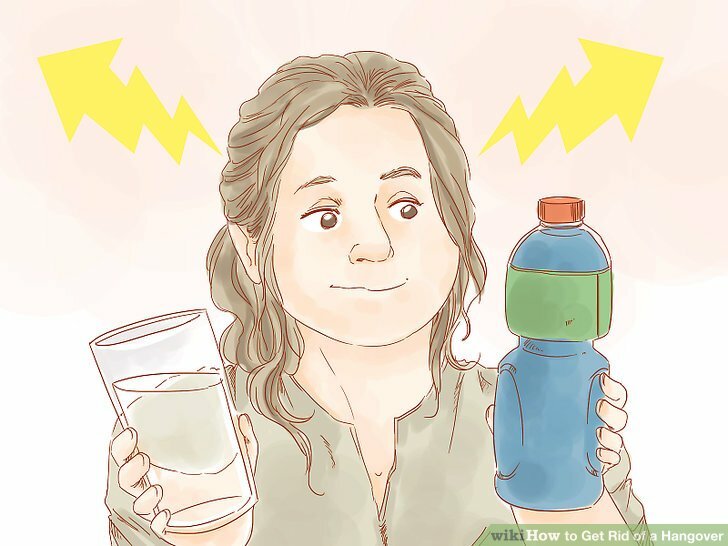 Generally, you should avoid sugary sports drinks like Gatorade unless you are exercising strenuously, but that isn’t the case when you have a killer hangover. Gatorade can help restore lost electrolytes like potassium and sodium that water can’t. Better yet, grab yourself a coconut water, which has 5 electrolytes found in human blood, rather than the 2 that most sports drinks to. My personal favorite, one that’s garnered a following more recently, is Pedialyte. The drink is intended for dehydrated children, but it provides a lot more electrolytes than Gatorade with far less sugar. Herbal tea is one of the healthiest drinks you can have and is a great substitute for sugary juices and sports drinks. Plus, studies show that ginger tea may reduce nausea and motion sickness. Anyone who has ever soothed an upset stomach with a glass of ginger ale knows that ginger is useful digestive. Drinking pickle juice is a relatively new phenomenon among athletes, but many people swear by it. 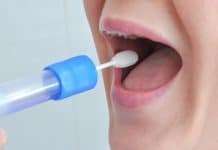 The bitter tasting liquid contains vinegar, salt, and water, which can all help rehydrate and replenish electrolyte and sodium levels. It doesn’t taste good, so your best bet is to pour a few ounces into a shot glass and down it. Don’t drink more than one or two shots at a time or you may find yourself feeling sick. Coffee needs to be used carefully when you’re hungover, since caffeine is a mild diuretic and can make dehydration worse. It is also acidic, which can upset your already queasy stomach. Still, coffee is an antioxidant and the caffeine will give you a little boost of energy and help ease your headache. If you do drink coffee, be sure to down more water, Pedialyte, or coconut water to combat dehydration. *Pro tip: if coffee makes you feel jittery, try taking L-theanine with it. L-theanine is a natural substance found in green tea that promotes relaxation and reduces stress and anxiety. I’ve tried many hangover cures in the past and I must say that Resqwater is one of my favorites if you have the means to haul them around with you while partying. 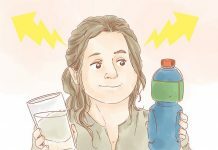 First, it works well for me, and if you are committed to drinking a few bottles through the night, you’ll have a good chance of avoiding a hangover the next morning. 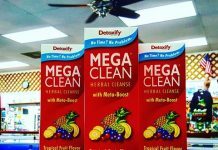 When used properly, I felt a lot better the next day after using this product. I wasn’t nauseated, my headache was barely noticeable, and I had more energy which allowed me to go about my regular routine. That said, this product has some major downsides. First, they are expensive. At more than $4 per bottle, it is likely the most expensive hangover product out there if you’re downing a couple per night. Second, they are bulky. I find this product is best use during tailgates and day parties where you have a cooler on hand. Just throw a handful of Resqwaters in the cooler along with your beer and other goodies and you will be a hero among your friends the next day. Try it! The Good: LyteShow was recommended by a friend so I expected it to work, and it didn’t disappoint. The morning after results were really awesome. I did not have any hangover symptoms (although I did not drink super heavily). I had no throbbing headache, no upset stomach, and I did not feel nauseated. I was a bit tired, but this was mostly due to lack of sleep. Another thing that I like about LyteShow is that it does not contain sugar, sweeteners, calories, carbohydrates, preservatives, or artificial coloring/flavor. It’s vegan and all natural. It is also one of the cheaper hangover product that I’ve tried at roughly $0.40 per serving. The biggest downside for me is the taste. It adds a tart and slightly salty flavor to the water which I really care for. This is a fairly bare-bones hangover relief product designed to ease the symptoms of a hangover after they have already happened. It doesn’t do anything to protect the liver and it doesn’t contain any ingredients to address the stomach distress caused by a night of heavy boozing. That said, it is the only FDA approved hangover product on the market. 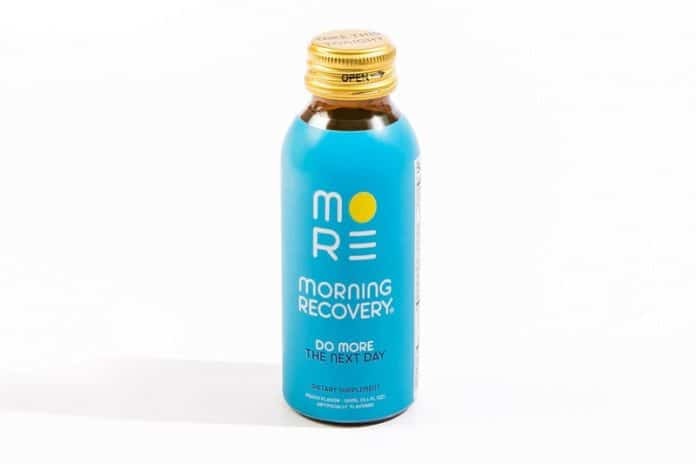 I’ve taken this many times after a night out, sometimes in combination with other hangover prevention products, and it does relieve headache and grogginess quickly. It is also very pleasant to take, which is important when you’re feeling queasy the next morning. That said, you can get similar results by popping an Ibuprofen and drinking a cup of coffee. I was intrigued by this product because it had more reviews on Amazon compared to the other hangover cures that I’ve tried. Out of over 600 reviews, 69% of those who used AfterPartyPal gave it 5-stars. Pretty convincing so I tried it out one weekend when my friends dropped by our house after a basketball game. I think I had 4 or 5 bottles of beer, the typical amount that gives me a hangover. More of a severe headache actually. Anyway, I took all three tablets with about 8 ounces of water. It says on the product website that you can also take all three at one time and it would have the same effect, though the ideal way is to take them separately. The following morning I felt great, there was no pounding headache which is my major problem after drinking any type of alcohol. I didn’t even have to take Excedrine which works best in relieving my alcohol-induced headache. Honestly, I was skeptical about this product because it was not specifically formulated for hangovers. Nonetheless, I gave it a go and took it as directed. There was no special occasion, I was at home watching football with friends and had about 5 beers and a few glasses of whiskey. The following morning, I didn’t feel bad at all. I wasn’t nauseated, dizzy and had no upset stomach. Unfortunately, I did wake up with a bit of a headache and a little groggy. RecoverORS did work in preventing the other symptoms of hangover, but not so much the headache in my case. I’ve read the reviews on Amazon, YouTube and the product website and RecoverORS appears to be exceptional when it comes to dehydration. Unfortunately, it’s just one of the ‘alleged’ causes of hangovers. To be honest, i’ve had better results with products which have been specifically formulated to prevent or cure hangover symptoms. 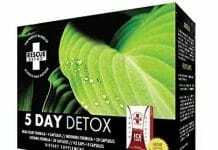 I’ve tried several hangover products so I’m quite familiar with the ingredients that appear to work such as N-acetyl-L-cysteine, prickly pear extract and milk thistle extract. None of them are in RecoverORS’ ingredient list. Next articleHemp Oil vs CBD Oil – What’s the Difference?